Prominent & Leading Exporter from Ahmedabad, we offer instgra dolutegravir 50mg tablets, tenmac em tenofovir disoproxil fumarate & emtricitabine, tenvir-em emtricitabine and tenofovir disoproxil fumarate, naivex dolutegravir 50mg tablets, abamune-l abacavir 600mg lamivudine 300mg and heptavir lamivudine tablets. WHAT IS INSTGRA 50 MG TABLETS? 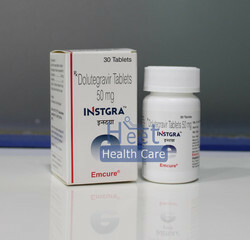 Dolutegravir belongs to a class of drugs known as integrase inhibitors. It blocks the virus from growing and infecting more cells. WHAT IS THE USE OF INSTGRA 50 MG TABLETS? 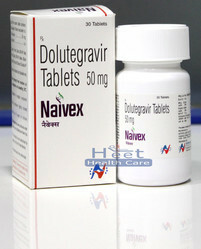 Dolutegravir is used with other HIV medications to help control HIV infection. It helps to decrease the amount of HIV in your body so your immune system can work better. WHAT ARE THE POSSIBLE SIDE-EFFECTS OF INSTGRA 50 MG TABLETS? Severe allergic reactions (rash; hives; itching; tightness in the chest; swelling of the mouth, face, lips, throat, or tongue; unusual hoarseness); change in the amount of urine produced; fever, chills, or persistent sore throat; mouth sores or blisters; muscle or joint aches; redness or swelling of the eyes; shortness of breath; symptoms of liver problems (eg, dark urine, loss of appetite, pale stools, severe or persistent nausea or vomiting, stomach pain, yellowing of the skin or eyes). WHAT IS THE IMPORTANT SAFETY INFORMATION OF INSTGRA 50 MG TABLETS? Do not change your dose or stop taking Dolutegravir or any other medicine for HIV without checking with your doctor. Lab tests, including complete blood cell counts and liver function, may be performed while you take Dolutegravir. PREGNANCY and BREAST-FEEDING: Dolutegravir may cause harm to the fetus. Do not breast-feed while taking Dolutegravir. Do not use TENMAC-EM for pre-exposure prophylaxis in individuals with unknown or positive HIV-1 status. 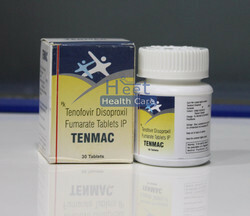 TENMAC-EM should be used in HIV-infected patients only in combination with other antiretroviral agents. In HIV1 infected patients, the most common adverse reactions (incidence greater than or equal to 10%) are diarrhea, nausea, fatigue, headache, dizziness, depression, insomnia, abnormal dreams, and rash. In HIV-1 uninfected individuals in PrEP trials, adverse reactions that were reported by more than 2% of TENMAC-EM subjects and more frequently than by placebo subjects were headache, abdominal pain and weight decreased. HDPE Bottle packs of 30 tablets and packed in a unit carton along with package insert. 24 months from the date of manufacturing, below 30°C. 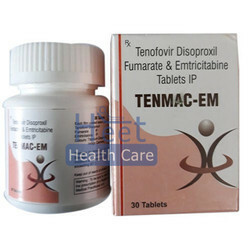 Tenvir-EM containing the 2 active ingredients tenofovir disoproxil fumarate and emtricitabine is considered a nucleoside reverse transcriptase inhibitors (NRTIs) type of medication. The medication works by controlling and preventing the HIV cells from multiplying in the body to help the immune system work well. It should be used in combination with other medications to lower the chance of suffering from HIV complications and slowing the progression of the disease from HIV to AIDS. Using more than 1 type of medication can prevent the body from becoming immune to the treatment. 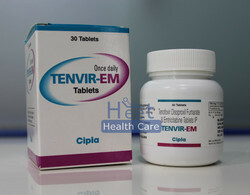 Tenvir-EM is usually taken orally once per day or as directed by a doctor. The tablets can be taken with or without food but should be taken with plenty of water. Contact a doctor for the correct dosage as it will depend on the patient’s kidney function, medication condition and their response to the therapy. The medication can be used to control and treat HIV but cannot be used to cure HIV or AIDS. Tenvir-EM is not always suitable for all patients. Always consult your health care provider prior to using this medication if you are pregnant, breastfeeding, trying to conceive, using any other medication (prescription or non-prescription), using any herbal products or supplements, or if you have any allergies or other health problems. Reported hypersensitivity reactions; characterized by eruptions, changes and sometimes organ dysfunction including injury. Patients with hepatitis B or C underlying hepatitis may be at increased risk for worsening or developing transaminase elevations. Redistribution / accumulation of body fat , Including central obesity, dorsocervical fat extension (buffalo neck), peripheral emphysema, facial emphysema, bladder enlargement and cushingoid appearance. Observed. UGT1A1 and CYP3A transducers (e.g. oxcarbazepine, phenytoin, Phenobarbital, carbamazepine, sunscreen, and rifampicin) decreases Naivex. The most common adverse reactions with Naivex were headache and fatigue and when used with RBV in decompensated cirrhosis were fatigue, hypersensitivity reactions, Effects on serum liver biochemistry in patients> Hepatitis B or C, Co-Infection, Fat Redistribution, Immune Reconstitution Syndrome, Sleep Problems, Fatigue. What is Abamune-L used for? Abamune-L tablets 600mg/300mg is a combination of two medications, abacavir and lamivudine which belong to a class of medicines called antiretroviral. They are used together with other antiretroviral to slow down the progression of HIV infection (human immunodeficiency virus), which can lead to AIDS (Acquired Immune Deficiency Syndrome) and other related illnesses for example, AIDS – related Complex or ARC. What are the side effects of Abamune-L? Abamune-L tablets can cause some side effects. If they do occur and some may be serious, seek medical advice from your health professional as you may require medical attention. As Abamune-L tablets contain both abacavir and lamivudine, the side effects reported for each of these have been combined. It has been reported that the most common side effects which could affect at least one to ten in every 100 people include nausea, vomiting, diarrhea, upper abdominal pain, headache, high temperature, lethargy, fatigue, loss of appetite, hair loss, joint and muscle pain, abacavir hypersensitivity and skin rash. Less common side effects which could affect less than 1 in every 100 people include increased liver enzyme production, anemia (low red blood cell count), neutropenia (low white blood cell count), and reduced number of blood cells important for blood clotting. You may show symptoms of tiredness or breathlessness if the production of red blood cells is reduced. A reduction in your white blood cell count can make you more susceptible to infection. Rare side effects which could affect less than one in every 1000 people are breakdown of muscle tissue, increases of an enzyme called amylase and inflammation of the pancreas. Very rare side effects which could affect less than one in every 10,000 people are serious skin reactions and severe anemia. It has been documented that any changes in fat distribution are associated with antiretroviral medications, which may include loss of fat from legs, arms and face and also increased fat in the abdomen and other internal organs, breasts and the back of the neck. Changes in the amount of fatty substances and glucose in the blood have also been reported. Within the first few weeks of commencing treatment with anti-HIV medicines, some people and in particular those that have been HIV positive for some time, may develop inflammatory reactions for example, pain, redness, swelling and high temperature which may resemble an infection and may be severe. If you notice any changes in your health after commencing HIV treatment or become concerned with any new symptoms, then it is advisable you discuss this with your medical professional immediately. If you experience any of the following, call your doctor immediately. Lactic Acidosis – if you become very sick with accelerated breathing, you may have a condition known as this. High acid levels in the blood can cause rapid breathing and be life threatening. This is more common in women than men. If you experience allergic reactions soon after starting Abamune-L medication, for example wheezing, any swelling of the lips/mouth, difficulty in breathing, hay fever, hives or fainting then call your doctor immediately. Like all medications, there may be other side effects that occur in some people that are not listed or some side effects that are not yet known. How should Abamune-L tablets be stored? It is important you keep this medication safely out of reach of children. 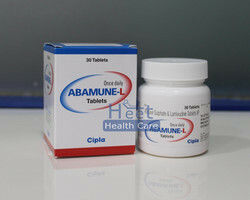 Keep Abamune-L tablets stored in a cool, dry place below 25°C. Heptavir Tablet is used for HIV infection, Hepatitis b virus infection and other conditions. Heptavir Tablet may also be used for purposes not listed in this medication guide. 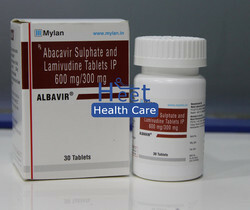 Heptavir Tablet contains Lamivudine as an active ingredient. Heptavir Tablet works by increasing the number of infection fighting cells in the body. Heptavir Tablet may also be used for purposes not listed here. The following is a list of possible side-effects that may occur from all constituting ingredients of Heptavir Tablet. This is not a comprehensive list. These side-effects are possible, but do not always occur. Some of the side-effects may be rare but serious. Consult your doctor if you observe any of the following side-effects, especially if they do not go away. Heptavir Tablet may also cause side-effects not listed here. Before using Heptavir Tablet, inform your doctor about your current list of medications, over the counter products (e.g. vitamins, herbal supplements, etc. ), allergies, pre-existing diseases, and current health conditions (e.g. pregnancy, upcoming surgery, etc.). Some health conditions may make you more susceptible to the side-effects of the drug. Take as directed by your doctor or follow the direction printed on the product insert. Dosage is based on your condition. Tell your doctor if your condition persists or worsens. Important counselling points are listed below. 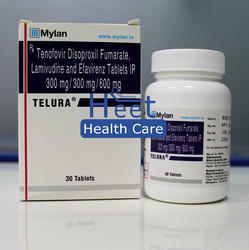 Tenof 300 mg Tablet is an antiviral medicine which is used to treat human immunodeficiency virus (HIV) and hepatitis B virus (HBV) infections. This medicine is not a cure for HIV or HBV. It only prevents the virus from multiplying in your body. Close monitoring of liver function and kidney function is necessary while receiving this medicine. The time required for this medicine to show its effect is not clinically established. This medicine is not recommended for use in pregnant women unless necessary. All the risks and benefits should be discussed with the doctor before taking this medicine. This medicine is not recommended for use in breastfeeding women unless absolutely necessary. All the risks and benefits should be discussed with the doctor before taking this medicine. Your doctor may advise you to discontinue the drug or to discontinue breastfeeding based on your clinical condition. 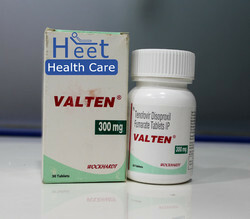 Uses of Valten Tablet: Tenofovir is used to treat HIV, the virus that can cause acquired immunodeficiency syndrome (AIDS). It is not a cure for HIV or AIDS. It is also used to treat chronic hepatitis B. How Valten Tablet works: Valten 300mg tablet prevents the multiplication of HIV virus in human cells. Thus stops the HIV virus from producing new viruses. Side effects of Valten Tablet: Chest pain. Cough. Chills and fever Chest tightness. Headache. Weight loss. Rash. Itching. Passing gas. Indigestion. 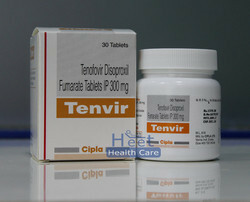 Tenofovir Disoproxil Fumarate (tenofovir DF) can cause serious, life-threatening side effects. These include a build-up of lactic acid in the blood (lactic acidosis) and severe liver problems. If you have both HIV and hepatitis B virus (HBV) infection and take tenofovir DF, your HBV infection may get much worse (flare up) if you stop taking tenofovir DF. 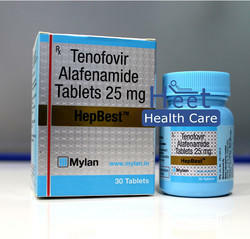 The HBV drug adefovir dipivoxil (brand name: Hepsera) should not be taken with tenofovir DF. While taking tenofovir DF, it is important to keep all of your appointments with your health care provider. WHAT IS RICOVIR 300MG TABLETS? 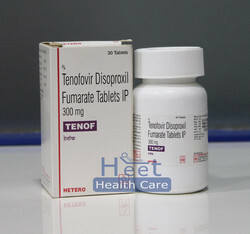 Tenofovir is an antiviral reverse transcriptase inhibitor. It works to treat HIV infection by blocking the growth of HIV. It works to treat HBV infection by blocking the ability of the virus to multiply and infect new liver cells. WHAT IS THE USE OF RICOVIR 300MG TABLETS? 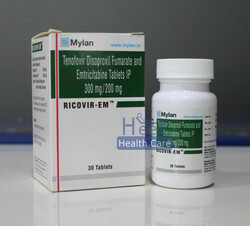 Ricovir is used for treating HIV infection in combination with other medicines. It is also used to treat chronic HBV infection. WHAT IS THE IMPORTANT SAFETY INFORMATION OF RICOVIR 300MG TABLETS? If you have HIV infection, you should be tested for HBV infection before you start to take tenofovir. Be sure that each of your health care providers knows all the medicines that you are taking. PREGNANCY and BREAST-FEEDING: You will need to discuss the benefits and risks of using tenofovir while you are pregnant. Do not breast-feed while taking tenofovir. Abacavir prevents the multiplication of HIV virus in human cells.Thus stops the HIV virus from producing new viruses. · Lowering the growth and decreasing the amount of HIV virus in the body. · Blocking the activity of a viral enzyme. · Blocking RNA-dependent DNA polymerase function in viral DNA replication. 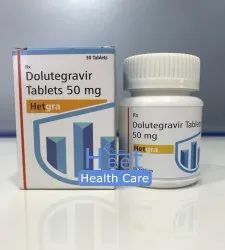 What is HETGRA 50 mg tablets?Dolutegravir belongs to a class of drugs known as integrase inhibitors. It blocks the virus from growing and infecting more cells. What is the use of HETGRA 50 mg tablets? What are the possible side-effects of HETGRA 50 mg tablets? What is the important safety information of HETGRA 50 mg tablets?